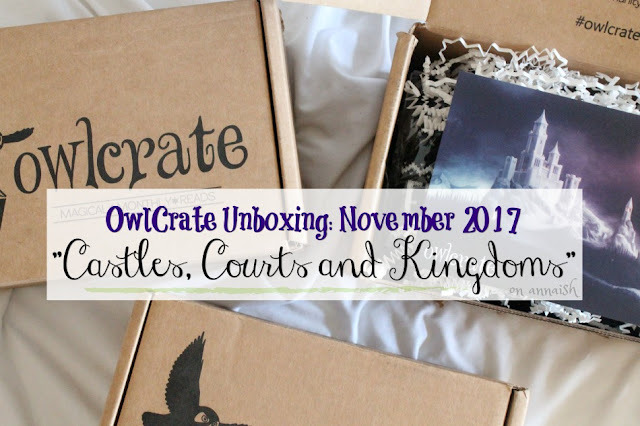 annaish: OwlCrate Unboxing: November 2017 "Castles, Courts and Kingdoms"
OwlCrate Unboxing: November 2017 "Castles, Courts and Kingdoms"
YES OKAY I LIED. In my "last" OwlCrate unboxing I said, This is a great box (but my last one :,))... But it wasn't?! I kept getting more boxes over the year. I'm not complaining! Just surprised. Anyway, are you ready for another OwlCrate unboxing? I sure am. NOTE: MAJOR SPOILERS for this box! Also, my unboxing isn't sponsored by OwlCrate. The links I attached in this post are for my own pleasure. I just really like OwlCrate and the chosen shops this month. Thanks and enjoy! The title card this month fits quite well with the chosen theme! The majestic castle in the midnight sky really sets the theme for November. The left picture shows the front, and the right picture classifies all the chosen shops. The first item I saw was this Harry Potter beanie. What a great way to start! It was exclusively created by OwlCrate. I wore the beanie once and it was a bit small, but very cozy. I also think it's rather chic. Any Grisha fans out there? This next item is a "Second Army" brooch - inspired by the Grishaverse! This brooch was created by Juniper and Ivy Designs and exclusively for OwlCrate subscribers. And apparently OwlCrate sent out three different designs. I'm not exactly sure which one I got, but it's really pretty. If you've been on the internet you've heard the phrase "Winter is Here" from Game of Thrones. No question. Now I'm not a Game of Thrones fan, but I really like this GOT inspired lip balm. The flavor is blueberry mint, and this lip balm was made (exclusively) by Geek Fire Labs. LOOK AT THIS SOAP. I'm still mesmerized by it's smell and look. It's called "Elven Bread Soap" (LORD OF THE RINGS!!) and it was made (exclusively) by Fizzy Fairy Apothecary. I love it and plan on using a LOT. Please excuse my terrible pictures! This next item is OwlCrate's theme button. You get one every box. It's hard to see (sorry) but it's a traveler on its horse. I'm not sure when I'll wear it, but I like it. I wasn't a fan of A Court of Mist and Fury but, I mean, I'll take a notebook. This beautiful !!! 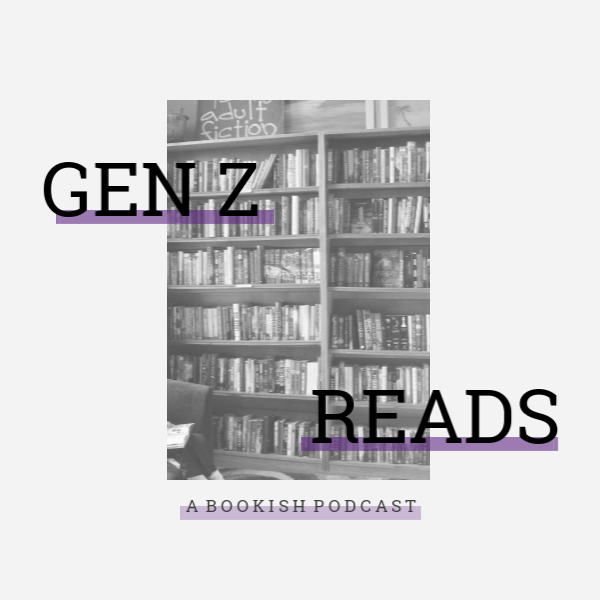 design was made (exclusively) by Stella's Bookish Art. Her designs are so aesthetic y'all. Now, I'm not sure when I'll use this notebook because I have 475683942734 other notebooks to get through haha. And finally: the book! This month OwlCrate subscribers got an exclusive (cover) copy of The Glass Spare. Here's the Goodreads page. I also received a letter from the author, signed book plate, and TGS tattoos. The book sounds really interesting but the exclusive cover is okay. Here are some (terrible) photos of the whole haul. We got a few purple items this time around haha! I almost forgot to mention this new item! OwlCrate has started giving subscribers a small, short catalog with exclusive interviews, games, and news. I find each monthly catalog cute and fun. Anyway, the theme for December is "Seize the Day" and will include an item from Bookworm Boutique. I can't wait! Here's the official OwlCrate website if anyone is curious in subscribing (which I would highly recommend). Before I go, I have some important news. It might not happen, but I mightttt leave annaish for a bit. Finals are coming (HELP), along with the holidays. I could use a break anyway. But I'm not sure *sigh*. I have some great ideas for December so if I could just get my act together... welp. Anyhoo, have a great Sunday! Mine too. :) Oh trust me, it's totally real! That’s SOAP!!?? It’s so pretty...what does it smell like? Also, I’ve never gotten an owl crate, but I’m glad you’re enjoying them, they seem super cool. That Harry Potter beanie is GORGEOUS. Also, I agree about A Court of Mist and Fury...and about the whole trilogy, really. I have some issues with Sarah J. maas’s Books in general though.